Personalised labelling, or mass personalisation, the trend that sees brand owners and consumers personalise a label with a message or an image, is being driven by innovative suppliers and equipment manufactures in the printing market. This is the view of Luke Papadopoulos, Managing Director of Paarl Labels, who says that in a competitive market, companies are more and more using the humble label as an extension of their marketing. Paarl Labels is the labelling division of Novus Holdings, Africa’s leading commercial printing operation. He says that digital printing technology is a key piece in the innovation puzzle allowing printers such as Paarl Labels to offer added value and solutions in the labelling space. 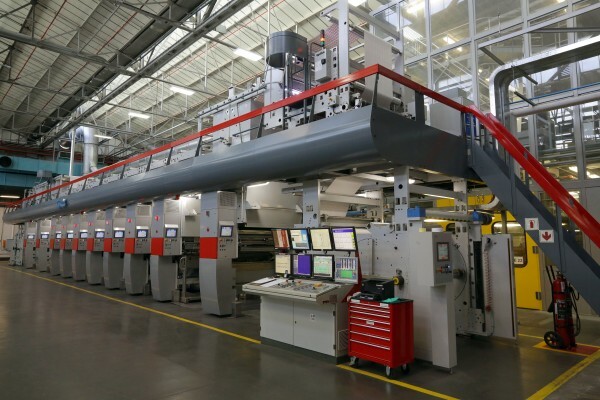 Paarl Labels has recently installed a digital press at its operation in Paarl. However, he says that it isn’t technology alone that gives them the competitive edge. He explains that Paarl Labels seeks to understand what the customer wants, and then fits the client’s requirements to the correct label solution. “We seek to understand upfront what the customer wants the label to do, how it must look, how the label will be applied and how it needs to perform throughout the product lifecycle, we then build the product around the client’s needs. So for example, if it is a label for a beverage, the label face stock, adhesive as well as the ink and varnish, need to be able withstand a range of temperatures. The label may be applied to a container or bottle that has condensation present at the time of application, or it may be expected to perform in wet conditions, such as an in the ice bucket. It is this technical knowhow coupled with excellent service that allow us to offer innovative solutions that go above only producing labels,” explains Papadopoulos. He notes another trend that allows labelling companies who have both excellent service, technical knowhow and a digital print offering to stand out from the crowd: SKU diversity. Brand owners are experimenting with limited and unique flavours, pack sizes and designs that may not be on shelf very long, due to the brand owner only testing the market. During this testing phase brand owners are cost conscious, want to be able to move quickly and have a lot of flexibility creatively. 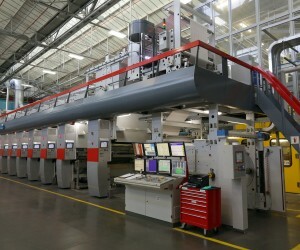 Furthermore, he says that Paarl Labels’ state-of-the-art equipment across its two plants sees the company covering any print run length that clients may require. 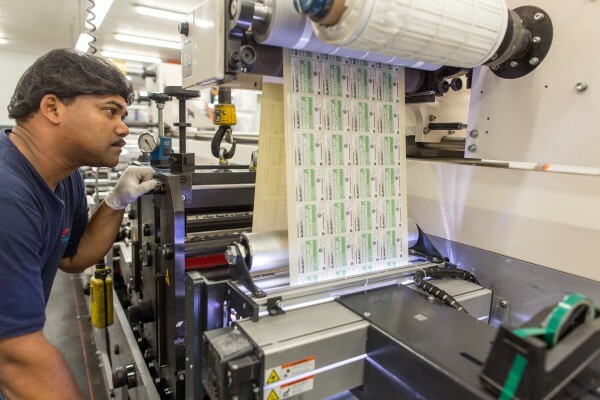 The Paarl Facility, for example, has UV flexo presses for the production of self-adhesive labels, used in the beverage, food, personal care and petro chemical markets. This technology is ideally suited to medium to long print runs, or labels with high levels of embellishments. The Montague Gardens facility houses Gravure printing equipment that is used for the printing of high volume wet-glue labels for the beverage market and wraparound labels for the carbonated soft drink and bottled water markets. Papadopoulos notes that his passion for labelling comes from the reward he gets when solving a problem for a client. “Labels are technical but you also need to understand your customer. We believe that we have a duty to represent the brands that we work with, properly – that is, by producing exceptional labels. Coming up with a product or solution that works is enjoyable – and it is this feeling – combined with the technical skill - that keeps me coming back for more,” concludes Papadopoulos. Paarl Labels flexo site is an ISO 22 000:2005 and ISO 9001:2008 accredited-facility that prints self-adhesive labels for the beverage, food, cosmetic and petro-chemical industries. Its Gravure printing operation is ISO 9001:2008 accredited and produces both wet glue and wraparound labels for the soft drink and bottled water markets. Paarl Labels can provide high performance products that meet various requirements with regards to flexibility, durability and re-usability.